This round wire dump bin is adjustable to allow you to choose the depth that fits your display needs. The wire construction is lightweight and durable for high traffic environments. This is an ideal display for large items in bulk. 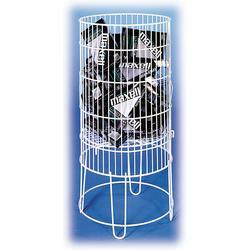 This wire dump bin is available in white or black.